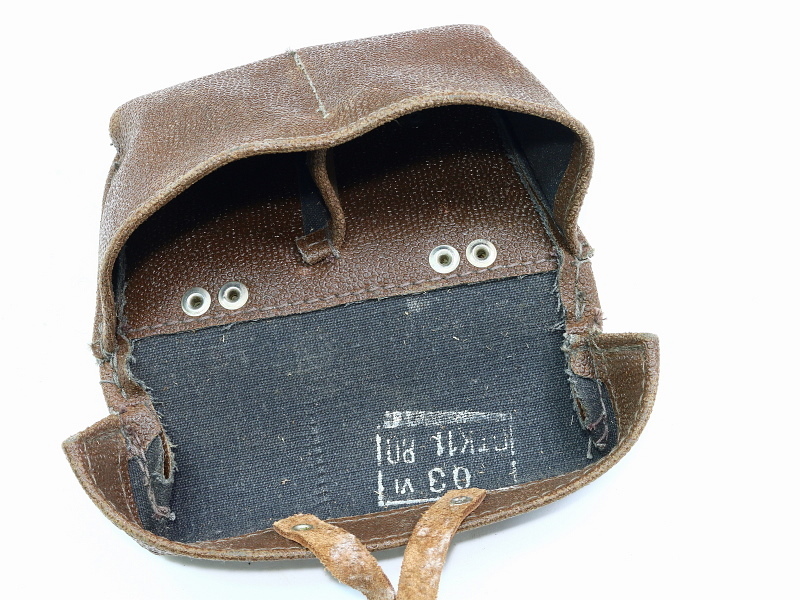 This offering is for 1 of our Mosin Nagant Ammo Pouches. Like the ones pictured, all are in very good looking used condition. These are late production Soviet and dates 1979-1980 inside the lid. 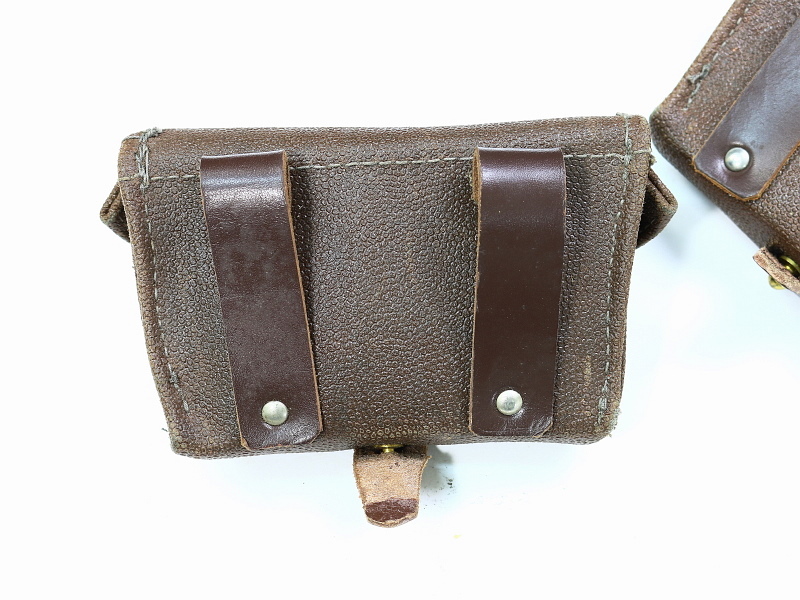 A more simplified pouch compared to the 1950's 2 unique cells and the leather trim. This is essentially 1 pocked with an internal divider, still made to hold stripper clipped 7.62x54r ammunition for the Mosin Nagant rifles.. Very good looking brown "pleather" plastic/leather with belt lops and a closure strap.